Underneath effects-pedal whiz Oliver Ackermann’s industrial-grade squalls of distortion, A Place to Bury Strangers have always tucked away shimmery goth-pop songcraft. Both aspects of the New York band return in equal measure on “You Are the One,” the advance MP3 from the group’s upcoming album Worship, which Dead Oceans will release on June 26. Building on last year’s Onwards to the Wall EP, it’s the first album from Ackermann and the crew since 2009’s Exploding Head. “You Are the One” has more of the ear-rending sonics on which Ackermann has built his Death by Audio business, though he always seems to keep the shrillest settings to himself. At the same time, the song is a simple plea for a lover who’s gone, with Ackermann almost whispering at points atop the lockstep, krautrock-tinged pummeling. When he mentions an engine, though, he might as well be describing the sonic backdrop here, which sculpts something unexpectedly elegant out of the type of din you’d expect to hear on an airport tarmac. 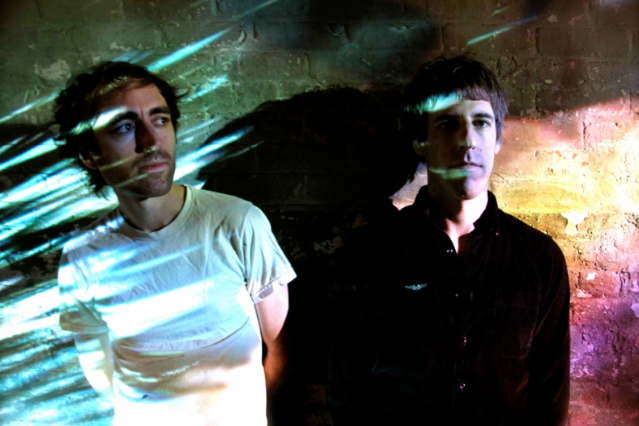 A Place to Bury Strangers wrote, recorded, mixed, and mastered Worship. “Every sound on the album is made by us and our tools,” bassist Dion Lunadon says in a statement. “Tools created by us, used on no other recordings, and purposefully built for this project … We are not trying to reinvent ourselves, but simply push ourselves further in all aspects of our music.” So far, so loud.